Eventually, every quarterback needs to shed the training wheels. I’m saying…that eventually every quarterback has to be the GUY, relied on to throw the ball 35+ times/game and win on their own without leaning on a running game and a defense. For some of the more unlucky quarterbacks drafted onto barren rosters, that baptism by fire comes in their first year. For other QB’s, that doesn’t happen until year 3 or 4 when the talent around them deteriorates. In Joe Flacco’s case, it didn’t happen until year 8. In that regard, Flacco’s kind of the “trust fund kid” of his generation of passers, in the sense that when you compare what he’s had to do for his team, relative to what Ryan and Stafford have had to do for their teams to yield the same if not worse results, you see how truly privileged Joe Flacco has been to be drafted by the franchise whose defense has given up the fewest aggregate points since the year 2003. Where am I going with this? I may be in the minority of “football people” (whatever that even means) in that I think the Baltimore Ravens are in for a sobering, humbling 2016 season, one that will force them to ask some very real questions about their roster composition, their quarterback, and the way they go about winning football games in an increasingly pass-happy NFL. For the first time in his career, Joe Flacco is no longer the unquestioned 2nd best quarterback in his division behind Ben (yeah Bengal fans, I just went there, embrace it). Unfortunately, I don’t think Blackbirds have the caliber roster they’ve had in years past that can compensate. 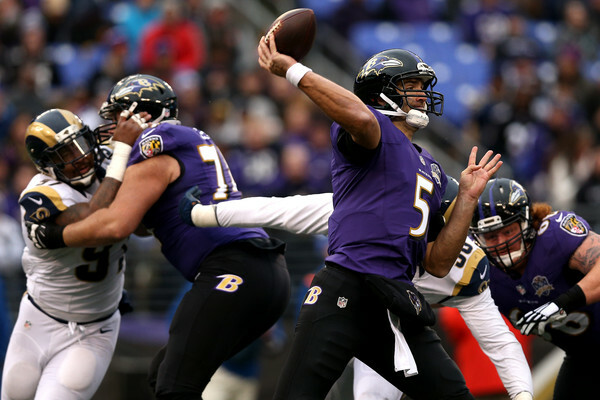 The fact of the matter is: Joe Flacco is a slightly above average quarterback who possesses elite arm talent…arm talent that for whatever reason never shows up until the fourth quarter of high-stakes cold weather games. When I look at this 2016 Ravens offense, I just don’t love the skill position talent as much as others seem to. Take the backfield for instance. The triumvirate of Justin Forsett, Javoris Allen and Terrence West obviously isn’t exciting anyone, but then again, in this day and age you can prop up any old corpse in the backfield a la Weekend at Bernie’s and next thing you know he’s rushing for 1,000 yards. Bottom line is though, barring a repeat of his 2014 performance (which looks more and more like an outlier by the second) Forsett and company will not rush for 2,000 plus yards as a group, and Baltimore will need to make it work through the air. I will say this about Ozzie Newsome and the Ravens Brass: they have certainly put together a WR group that maximizes Flacco’s abilities to throw the ball deep down the field. There have been only 2 receivers that I have ever seen with my own eyes….who were fast enough to consistently run past cornerbacks as if they were stuck in mud, despite regularly being given 10+ yards of cushion. One of them, unsurprisingly to any football fan my age, was peak Randy Moss, and the other one…believe it or not…is Mike Wallace. Fast Mike has been waiting since 2012 to have another strong-armed passer like Ben to chuck him the ball 60 yards downfield on broken plays, and now he finally has one in Flacco. 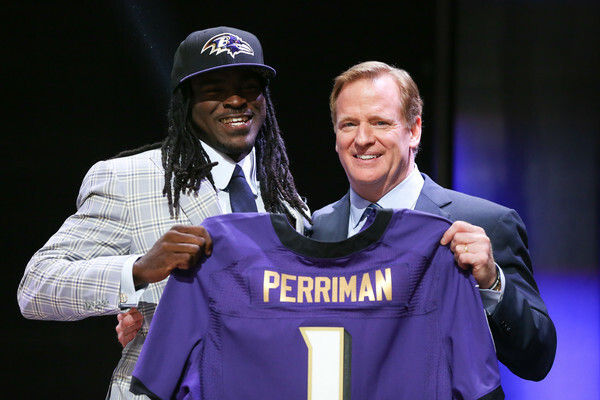 2015 1st round pick Breshad Perriman, who is actually ran a faster time than Wallace at the combine, seems like he is good to go this year after redshirting with an injury his rookie season. 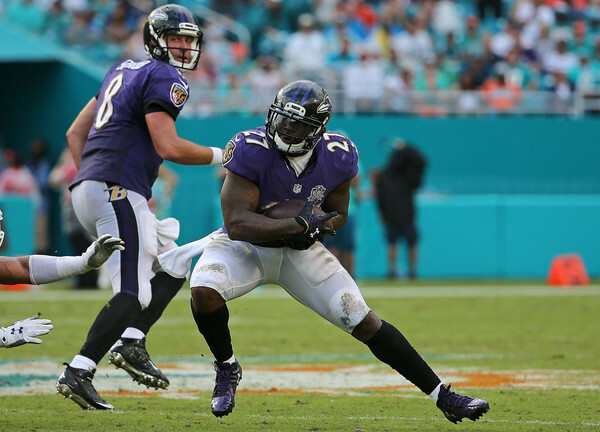 In a perfect purple and black world, those two will combine to absolutely TERRORIZE defenses with their vertical speed. Here’s my issue with this supposed vertical passing game that they’re allegedly unleashing on the NFL: in order to drive the ball deep downfield, your QB needs a lot of time in the pocket to let the play develop. Do me a favor: count in your head to 3 Mississippi…that’s about how long it takes for an NFL wide receiver to run 50 yards downfield, and that’s more time than you think, within the framework of a quarterback’s drop. In order to keep Flacco from staring up at the clouds all year, the Ravens drafted Left Tackle Ronnie Staley out of ND in the first round. The golden domers have had a fantastic recent history of producing NFL lineman (both Martins, for instance) so this could be a great pick, and it will need to be for things to develop downfield. Overall, I think the ceiling for this offense is lower than others do. Too many things have to go right for them to connect deep at a rate that they’ll need to to consistently win games. I remember last year there was a mid-season game where the Jaguars offensive starters were all projected to be top 5 scorers at their positions against the Ravens…IN Baltimore. Think about that for a second: The Ravens were playing at home against the “lowly” Jaguars, and yet the fancy algorithms that Yahoo and ESPN use to predict game flow had them giving up tons of yards and points. Oh how the mighty have fallen. They weren’t terrible I suppose, the 2015 Ravens finished 18th in defensive DVOA last year despite getting only 50+ snaps from Terrell Suggs. 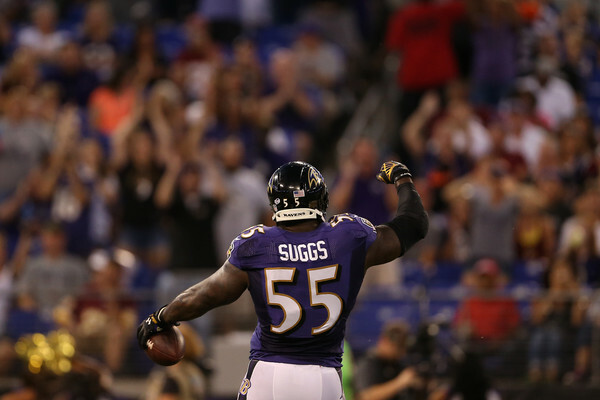 The biggest question going forward will be all about the aging pass rush: how much, if anything, do Suggs and Dumervil have left in the tank? Can they get this once proud defense 20 more sacks this season as they ride off into the sunset? Many people in the Charm City are excited about the Eric Weddle addition to the secondary, and he’s obviously a great player, but he’s also a little long in the tooth, and certainly not the savior for a group of corners that struggles to keep guys in front of them. The biggest difference between the Ravens of yesteryear (say 2004-2009 or so) vs the past couple years, is quite frankly the talent they’ve drafted on defense has merely been GOOD, not GREAT. Cornerback Jimmy Smith (while solid) is no Chris McCalister, CJ Mosley (again, solid) is no Ray Lewis, and 2nd round pick Kamalei Correa is no Peter Boulware. I can see a scenario where these guys hover around the top 10 again, but the days of this defense giving up 14 points and 270 yards/game are long gone. It’s over. I mean it. This current iteration of Ravens that we have come to know and love over the past decade are going to be no longer once the clock hits triple 1’s on the 2016 season. Fairly confident Harbaugh and Newsome keep their jobs, but I am predicating a 6-10 finish, and a second straight playoff miss. **Whispers** Don’t look now, but for the first time since George W. Bush was in office, Baltimore may start sniffing around college campuses in an effort to replace their incumbent quarterback. Ssshhhhhh!! !